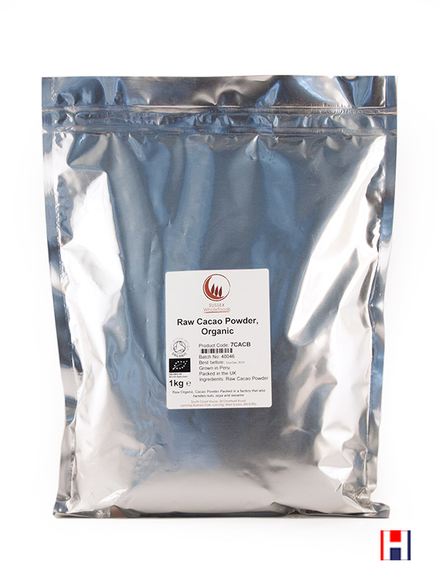 Organic Cacao Powder (1kg) - Sussex WholeFoods - HealthySupplies.co.uk. Buy Online. higher level of antioxidants than standard cocoa. Last Batch Produced on Tue 16 Apr 2019 12:29. Best before End Oct 2020. Organic produce of Peru. Packed in the UK. Can be used wherever standard (roasted) cocoa is used. Richer flavour than standard roasted cocoa. Suitable for cooking & baking & chocolate-making. Our top-of-the-range raw cacao. A must-have ingredient for all chocolate lovers! 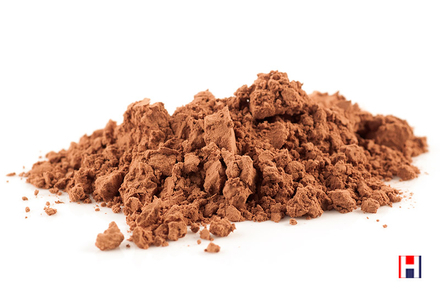 Raw Cacao Powder is lighter in colour than standard cocoa powder which is roasted. It therefore retains a richer chocolate flavour. Economy (non-organic) raw cacao powder. 1kg for £12.49 or buy 3 for £11.87 each. Standard cocoa powder is the result of extracting the solids from the cacao bean. This involves a significant number of steps which can include drying and roasting the beans, before removing the cocoa butter under heat. This raw cacao powder is a more straightforward, natural product. It is produced by grinding the raw cacao bean, then separating the solids from the oils (cacao butter) before grinding the solids again into a powder. The whole process is performed at a low temperature (below 42 degrees Celsius), thus keeping the cacao powder raw. The cacao is not modified or processed in anyway (i.e. it is not roasted and not alkalised). The result is a product with more of the goodness of the bean. Cacao contains natural antioxidants and essential fatty acids. It has the same great taste as cocoa and is used in exactly the same way. A standard (roasted) cocoa powder. Stir into warm milk to make a hot chocolate drink. We recommend coconut sugar as it really compliments the flavour. Add to smoothies for its protein and antioxidant value as well as its flavour. Use to dust the top of desserts or cappuccino for a chocolatey kick. Add to brownies, cakes and muffins for a truly luxury taste. Mix with Cacao Butter to make top quality, dairy-free home made chocolates. We don't like to use maltodextrin or any artificial anti-clumping agents in our products. If clumping occurs, bashing with a rolling pin or a quick blitz in a food processor will fix this. Raw Organic Cacao Powder. Also known as Theobroma Cacao.